Defined by their unmistakable combination of innovation, responsiveness, and elegance — Mercedes-Benz sedans are engineered to exceptionally high standards. Mercedes-Benz sedans feature potent powertrains, groundbreaking safety systems, and meticulous craftsmanship to set the benchmark for a luxury sedan. Thanks to a comprehensive lineup of five models, there’s a Mercedes-Benz sedan to suit every taste and lifestyle. 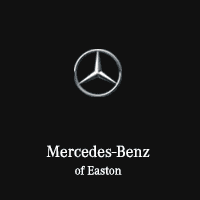 Mercedes-Benz of Easton has created this helpful guide which compares each sedan model to give you a better idea of which one is the best fit for you. Although it may be the smallest member of the Mercedes-Benz sedan family, the Mercedes-Benz CLA offers seductive styling that’s sleek like a coupe. Unmistakable styling cues on the CLA include its bold diamond-block front grille and stunning LED taillamps. ECO-START®/STOP automatically pauses its standard 208-hp turbo inline-4 to help you spend less time at the pump. Advanced tech features available on the CLA include Apple CarPlay™ and Android Auto smartphone integration, a 450-watt *harman/kardon® Logic 7® surround sound system, and COMAND® navigation with route guidance. Optional 4MATIC® all-wheel drive adds confidence and peace of mind when traveling in harsh weather. Ultra-modern style combines with generations of meticulous craftsmanship to create the Mercedes-Benz C-Class sedan. Sleek, spacious, and sporty are only a few ways to describe the distinctive style of the C-Class. Sharpen the looks of your C-Class with an available Night Package and accessories from the AMG® line for a track-inspired appearance. Inside, drivers can surround themselves in complete luxury with features including touchpad COMAND® navigation, available Burmester® audio, designo® Nappa leather upholstery, and a power rear-window sunshade. Turbocharged performance from its standard 2.0L inline-4 engine allows the Mercedes-Benz C-Class to achieve up to 33 MPG on the highway. The Mercedes-Benz E-Class has set the benchmarks that all other luxury midsize sedans work tirelessly to imitate. Only the E-Class offers groundbreaking “Car-to-X” technology which connects the vehicle to send you in-car updates about driving conditions before you get to them. Its turbocharged engine and 9-speed automatic transmission work in tandem to maximize efficiency while offering seamless power delivery. Every aspect of the E-Class interior was engineered to support the driver, with features like ergonomically contoured and crafted seats with active side bolsters. A new innovative AIR BODY CONTROL system transforms pressurized air into a polished ride with poised handling, making every drive more rewarding behind the wheel of the Mercedes-Benz E-Class. Offering four-door convenience with iconic fashion and the driving passion of a coupe, the Mercedes-Benz CLS makes a memorable entrance wherever it goes. The scintillating details of its muscular design hint at the astounding performance found beneath its hood. Standard power comes in the form of a 402 horsepower 4.7L V8 biturbo engine and can be transferred to all four wheels thanks to available 4MATIC® all-wheel drive. You’ll find yourself surrounded with luxurious accents like supple leather seating surfaces and handcrafted wood trim inside the cabin of the CLS. Exclusive paintwork and upholstery of designo® are hand-tailored to reflect your own sense of style and personal tastes. The CLS also features Intelligent Drive with advanced stereo cameras and radar sensors improve to safety, lower driving stress, and to provide a comprehensive suite of driver assistance technology. For decades, the Mercedes-Benz S-Class has set the standards for full-size luxury sedans with an unrivaled approach to safety, comfort, and performance. Setting elegance into motion, the S-Class offers your choice of a 3.0L V6 biturbo, 4.0L V8 biturbo, or handcrafted AMG® 4.0L V8 biturbo and AMG® 6.0L V12 biturbo engines. As the world’s first proactive suspension, available MAGIC BODY CONTROL® uses a stereo camera to monitor the road in front of you and generates forces to counteract bumps and dips as you reach them. The welcoming interior of the S-Class is meticulously sewn, sculpted, and appointed to soothe and stimulate all of your senses. Access a wide world of information via two 12.3-inch widescreens set side-by-side in a seamless floating frame.